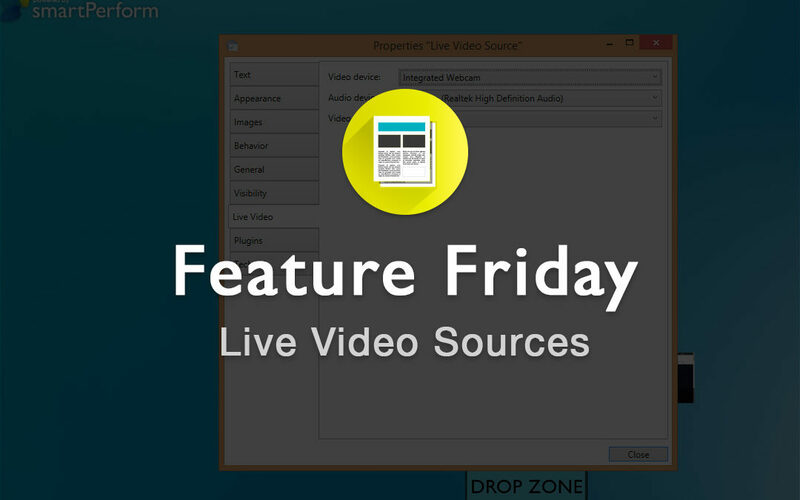 Today’s Feature Friday is about Live Video Sources. This concept is useful when you would like to incorporate third party sources and or video feed sources without needing to leave your smartPerform project screen. No confusion, no jumping around. smartPerform, as usual, offers you the opportunity to annotate your live video source. How is a live source involved? After smartPerform starts in edit mode and the Toolbox is visible, various media can be integrated via the bar at the top of the screen – including live sources. Live sources can be easily implemented or imported into a project by simply clicking on them. To do this click with the right mouse button on each imported source – via the “Properties” you will get to the following screen (below). 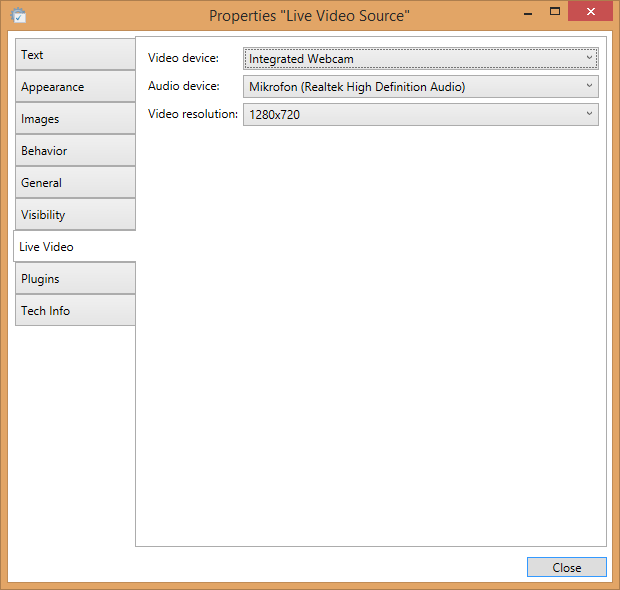 Under the tab “Live Video” you can set your corresponding Video devices, audio devices, and the corresponding video resolution.